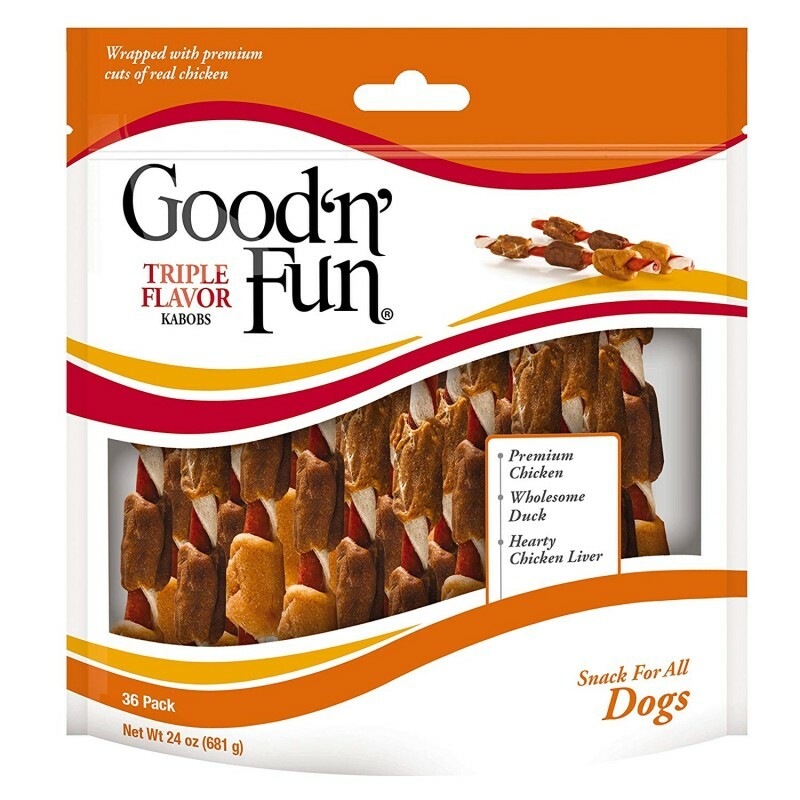 Good ‘n’ fun brand contains a savory smorgasbord of flavors that dogs love most. These delicious chew treats are made from the finest ingredients, including premium beef hide and real chicken, to create truly delightful, long-lasting treats your dog will love. Good ‘n’ fun Triple flavor kabobs contain a savory combination of five flavors that dogs love most. These delicious chew treats are made from rawhide and pork hide, then wrapped with real chicken, duck and chicken liver to create this truly delightful, long lasting treat your dog will love. The natural chewing action helps reduce tartar buildup, so there’s something you both can love. The unique kabob shape packs on flavor and provides a great source of protein for your pup. Triple flavor kabobs provide you with a healthy and delicious way to satisfy your dog’s natural urge to chew. Give one per day. Always provide plenty of fresh drinking water.